As Kobe Bryant begins his farewell tour, we take a look back on what has become one of the greatest careers in the history of basketball. If there is one thing Kobe Bryant has done over his 20 years in the NBA, he has certainly made a lot of memories for NBA fans. But which moment will be remembered as his best? When we think about Bryant years from now, we will think of his most iconic moments. Whether it’s his 81 point game against the Raptors, his impossible buzzer beaters against Portland, or capturing his fifth championship, the past couple of seasons will be forgotten flukes in a 20-year run of greatness. 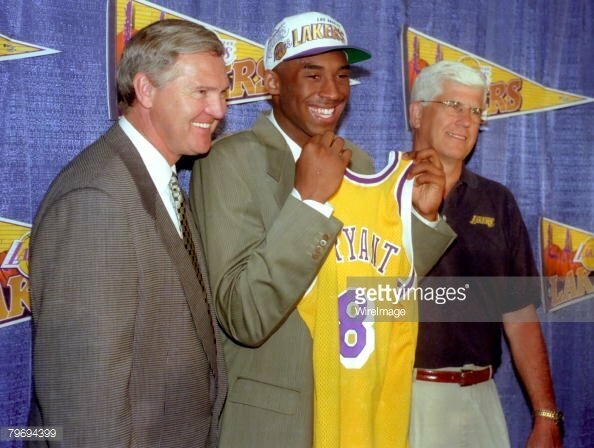 While the success of the team has wavered, Kobe’s individual greatness has been constant sine the day he came out of high school and into the NBA. His legacy seems to be taken for granted at times. Bryant, who is in his 20th NBA season, is still averaging 15.5 points, 4.1 rebounds and 3.4 assists. Forget percentages and other advanced metrics for a bit. That stat line alone is one most NBA shooting guards would kill for as their career average, and for Kobe, it’s the worst stats he has put up since his rookie year and injury-plagued seasons. Bryant started out as a sidekick to Shaquille O’Neal, and together, they bulldozed over the NBA for three straight years. Once Shaq stopped staying in shape and goofing around more, Kobe started to get on his case, leading to a feud, which broke up their dynamic duo. In 2004, Bryant was officially the lone face of the Los Angeles Lakers. Kobe thrived under the pressure, despite being surrounded by mostly role players from 2005 to 2007. He averaged 31-5-5 over that span, but the Lakers struggled in the stacked western conference and never made it past the first round in the playoffs. It was a big risk for Bryant, but Buss is known for always restoring the Lakers back to championship contention. Buss kept his word, and in 2008, the Lakers acquired all-star power forward Pau Gasol without giving up any core players. The trade saved the Lakers’ season; they finished first in the western conference, Bryant was named regular season MVP, and the Lakers made it to the 2008 NBA Finals. They lost to the Boston Celtics in six games, but they would reach the finals the next two years. The Lakers got their revenge in 2010, beating the Celtics in seven games, where Bryant captured his fifth championship. 2011 was when the wheels started to fall off for the Lakers core group. They ran into a buzz saw in the second round of the 2011 playoffs, where they were swept by, the eventual champions, the Dallas Mavericks. It was an upset by the Mavericks for sure, but the landscape of the NBA changed with the rise of the Oklahoma City Thunder, who knocked them out in 2012. From 2011 on, the Thunder and the Spurs were getting younger while the Lakers kept aging. In a last ditch effort to build a super team in 2012, the Lakers signed Steve Nash and traded for Dwight Howard and went all in for the 2013 NBA Title. Unfortunately, while Kobe had a great year, the team failed miserably. Dwight and Kobe were constantly fighting, Nash could not stay healthy and Kobe’s body officially broke down when he tore his Achilles only days before the 2013 playoffs. The destruction of that team has negatively impacted the franchise since 2012. Once Howard left in 2013 and Gasol left in 2014, Kobe saw that his team had no chance and cashed in for his last two years in the NBA, signing a two-year, $48.5 million deal with the Lakers. Many people criticized Bryant for taking so much money and called him greedy. Realistically, the Lakers had one aging superstar in Bryant and no tangible way of wooing someone to play alongside him. No emerging star wants to step on Bryant’s toes; he’s so great that it is intimidating to take over the franchise. He’s so great that he is scary. As a lifelong Celtics fan, it is bittersweet to see Bryant go. I rooted against him for years, but each passing year, I have appreciated what he has done for basketball and marveled at his greatness. He would rather run his body into the ground, and carry an abysmal roster than hand the franchise to a player who he deems as not ready. That is something not many 37-year-olds would do, and it is certainly admirable. At this stage in Bryant’s career, we all need to respect that he is honoring his contract and finishing the season. He could retire right now and cash in on his contract, but he is accepting the beating of an 82 game season at his age, and will give whatever his body has left to muster. If you have a chance to see one of his last games, take it. That is Kobe Bryant’s legacy; once you see a player like him, you’ll never forget it.